Chimney leak repair and waterproofing are recommended if you notice leaks with your fireplace or chimney. Ignoring a chimney or fireplace leak will cost you more to repair as damage worsens over time. Water is a chimneys worst enemy and it causes more damage to chimneys and masonry than chimney fires. Water gets trapped between brick and mortar joints and freeze when temperatures drop. As water inside the joints freeze, it expands and causes bricks to loosen and crack. 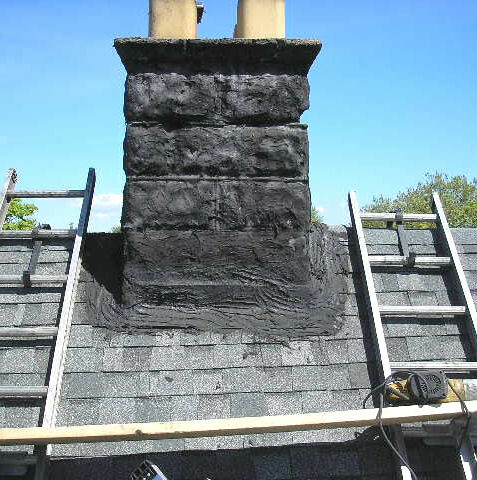 Chimney Repair NY can help with any of your chimney or fireplace leak problems. Call 1-877-952-7425 for service or request a Free Chimney Leak Repair Quote. We have been servicing and repairing chimney leaks for over 20 years throughout Manhattan, Long Island, Brooklyn, Queens, Westchester, and Bronx, New York and are committed to providing clients with the highest level of quality service and guarantee every job is done properly.